Year Zero Survival is proud to be the 1st survival supply company to not only offer our premium survival products to treat contaminated water, but to TEST for contaminated water in less than 30 minutes! 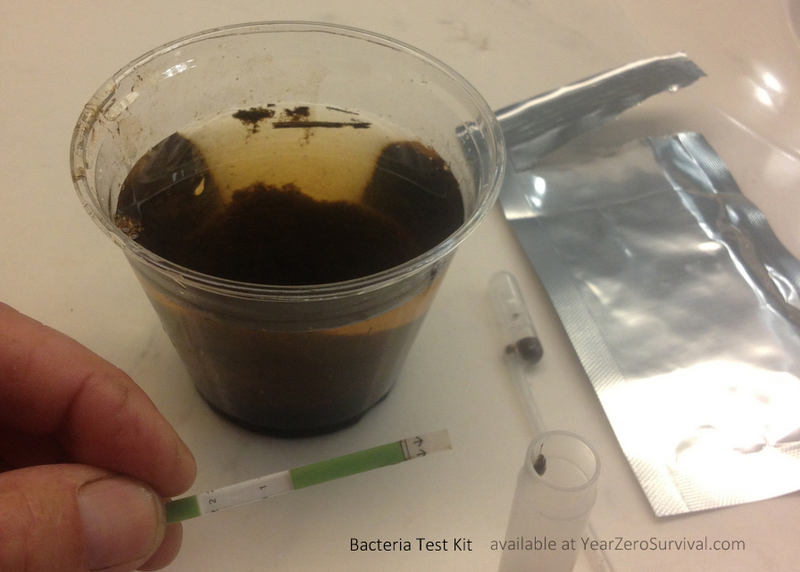 Our new Bacteria Test Kit is a quick and easy way to test water for harmful bacteria. (It generally takes most Health Departments over 24 hrs to incubate and test a water sample.) The kit contains 10 individual use test kits. Now you can look for e-coli and other bacteria in drinking water, ponds, streams and even public swimming pools. A positive result on one of these screening tests may indicate dangerous levels of bacteria and aid you in your water treatment options. The kit tests for the presence of bacteria and detect E.coli, Pseudomonas aeruginosa, species of Shigella, Enterobacter, and many other coliform and non-coliform bacteria. Fast, Accurate and Easy to use, the Bacteria Test Kit is an excellent addition to your survival preps, as well as, for camping, hiking, boating, travelling and other outdoor activities. With its combined ease of use, speed, and affordability, there is no other test like it on the market! Again we are proud to be on the cutting edge of innovation by offering these Bacteria Test Kits to our friends and fellow survivors. This entry was posted in Year Zero Survival Blog and tagged cover up 123, coverup123, fema by staff-writer. Bookmark the permalink. I use them in my business now too. Awesome technology! Thank you!! !